Grammy-nominated R&B mainstay, Kenny Lattimore has made a triumphant return to the Top 10 Billboard Adult R&B radio chart with his new single "Stay On Your Mind." The song is at #8 bullet, right on the heels of singles from Toni Braxton, Peabo Bryson, Keith Sweat, Ne-Yo, and Tamia. Grammy-nominated R&B mainstay, Kenny Lattimore has made a triumphant return to the Top 10 Billboard Adult R&B radio chart with his new single "Stay On Your Mind." The song is at #8 bullet, right on the heels of singles from Toni Braxton, Peabo Bryson, Keith Sweat, Ne-Yo, and Tamia. "Stay On Your Mind" features production by Dra-kkar Wesley (aka Madicin) and appears on Kenny Lattimore's new album "Vulnerable", released via Liger Enterprises and record executive guru Ron Spaulding. While the single is heating up the charts, the video boasts nearly 600,000 views. Watch the video for "Stay On Your Mind" online at https://www.youtube.com/watch?v=Aw64fH7IDiU. 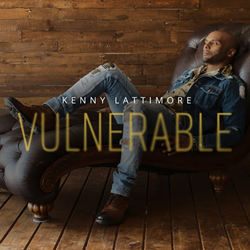 Kenny Lattimore is best known for his Grammy Award-nominated power ballad "For You," but Lattimore's body of work spans over 20 years, and includes his first top 40 hit, "Never Too Busy," and his critically acclaimed sophomore album "From the Soul of a Man." Lattimore followed his sophomore effort with 2001's "Weekend" and two top-10 charting duet albums with singer Chanté Moore: "Things That Lovers Do" and the gospel/R&B double-CD "Uncovered/Covered." Lattimore released "Timeless" in 2008 and "Anatomy of a Love Song" in 2015. "A Kenny Lattimore Christmas," album followed in 2016. IT is an 11-song holiday project with multi-Grammy, Stellar & Dove Award-winning producer Aaron Lindsey that garnered a #3 position on the Billboard Gospel Albums Chart and a 2018 Stellar Award nomination for Special Event CD of the Year. The R&B crooner has a collection of Soul Train and Stellar Awards nominations as well as an NAACP Image Award for Best New Artist.